Gulf of Mexico hurricane season seems to have commenced, with The Oil Drum providing its usual comprehensive coverage - first up to bat this year is Hurricane / Tropical Storm Gustav - . By now most people know that by this weekend there will likely be a hurricane spinning its way somewhere in the Gulf of Mexico. There are possibly three more storms behind it. Below is an aggregate resource thread including updates by Chuck Watson/KAC/UCF--click through for models. 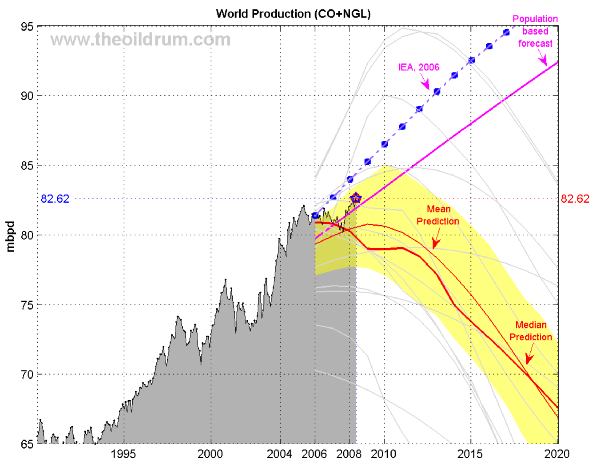 Khebab also has an update on the latest oil production numbers at TOD - Peak Oil Update - August 2008: Production Forecasts and EIA Oil Production Numbers.